Combine milk, cream and salt in a large pot and bring just barely to a boil. Remove from the heat to stir in the lemon juice, then return pot to low heat and cook, stirring until curds form, about 2-4 minutes. Pour through a cheesecloth lined strainer, separating the curds in the strainer from the whey collecting below in a bowl. 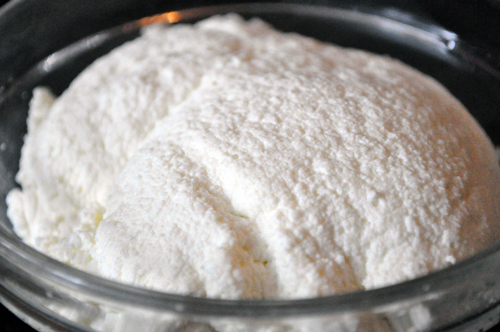 Let drain for a couple of minutes then turn ricotta out into a container, cover, and refrigerate. Best when used fresh.